Stop Slacking & Get Back To Those Goals! utors ~ More Content! SUE YET! Thank you for checking out this issue of Today’s Small Business, a bi-monthly magazine dedicated to YOU, the small business owner. What is your contribution to the next 100 years? It is the intention of the editor to bring you information which you can apply to your business the minute you finish the article. Please have a look to the left to see what we have to offer you in this issue. The views expressed in the articles presented in this magazine are those of the Authors. They are not the views of the publisher. The publisher is not responsible for the opinions, statements or remarks made by the Authors. EDITORS NOTES Feeling like you’ve lost your New Years drive? Plus to gow your business. Expand your reach with these unique marketing opportunities. your website is ready to launch? Better read this first! We enter March and I swear I was just celebrating the New Year...How about you? Does it feel like the last two months have gotten away from you? Have you started to lose sight of those goals you set for yourself this year? Around this time, many of you may start to find yourself falling back into old routines. All those big plans you made as the new year was born have started to fade. They may have lost their sparkle or perhaps your resolve is fading amidts all of those daily activities that have to get done to pay the bills. I have been there and I think we all arrive here a few times throughout the year and it can test our endurance and have us questioning if this Entrepreneur life is really something we are cut out for. WELL, IT IS...YOU ARE! They say that the test of our strength is not in how many times we can fall, but in how many times we get up and so long as the latter is the higher number, we’re good. I believe, at least for myself, when I get to the point when I feel like I’m failing, it is my brain’s way of telling me to take a break. Not quit, not question myself...just a break. A chance to clear my head, get a good night’s sleep (a rarity it seems anymore), and start over with a fresh perspective. So, as you reach what may be a plateau in your climb, I ask you to consider that you may just need to step away for a little bit. There is no shame in taking some down time. It will probably be the best thing you can do for your business. If you are not operating at your best, you are just going through the motions and that leaves no room for creativity. This week, take a day off. Have a playdate with the kids, play some video games, or just take a nap. I promise it will all seem better once you do! Then...GET BACK AT IT! NOW ON AIR In January we launched the brand new Today’s Small Business Podcast. All of the same great information you see in the magazine PLUS a more indepth look into the entrepreneurs behind the stories, tips, news and so much more. Find us on BlogTalkRadio and on Stitcher. Coming Soon to iTunes. Step 1: Talk to your target audience. Learn from them and find out what they want from you and your company. Your target audience can provide you with the foundation for your brand because as the consumers, they know what they want better than you do. products; that go beyond just your loyal fan base. The information you receive from focus groups can be crucial because the way others view your brand and think about your products can be the difference between success and failure. The data you receive from the focus groups can guide you through the rebranding process to make sure the consumer’s needs and wants are being met. formation about your brand and help you rebuild. The number of people you receive ideas from are endless and could shed some light on the best ways to revamp your brand. The people you reach via the internet are ones you wouldn’t normally reach otherwise, but can have important attitudes and opinions that can help grow your business – you never know who’s on the other end. Step 4: Utilize and Optimize: Yes, you’re conducting focus groups and research, but what do you do with all of the info? Whether it’s positive or negative feedback, all of it is extremely beneficial. Change or tweak your brand based on what you’ve learned so far and measure results. Products are constantly changing and advancing, so keep up with the trends. In today’s society, keeping up with the economy and market changes can be challenging. Companies will have their ups and downs, but what sets a successful company apart from the rest is the ability to recognize when a major change needs to happen to rebuild, what should be, a successful brand. creating new products, it is crucial to conduct consumer and scientific research for proven benefits. I’m constantly monitoring consumer testimonials and feedback while researching health studies and news to help our team determine the best course of action for upcoming products. ority in making sure my business and products are making consumers happy. Research is extremely important in not only finding out what your audience wants, but in how you portray the messaging. The way you word something can be the difference in someone wanting to buy your product, or just passing it by in the store aisles. Once the research is precise, it’s how you distribute your message to your audience that’s even more important. Every company is going to be different in how they advertise—whether it is through television advertising, print advertising, social media, public relations, marketing—depending on the audience and the product. Take time in figuring out what’s most efficient for YOUR brand and execute accordingly. Create and effective message and then market it efficiently. If you take the time and make the effort to execute the best decisions for your products, the growth of your brand will be optimized. My final words of wisdom: Live in the now. Stay ahead of the curve, keep your goals in front of you and constantly figure out how to make these goals bigger and better. Don’t settle. But don’t be frivolous. Plan ahead, organize, research, and use your resources as much as possible. Marketing dollars are precious…treat them as such! TED KARKUS has been the CEO of ProPhase Labs, Makers of Cold-EEZE Cold Remedy since June 2009. Ted was a 25-year Wall Street Tycoon, and was formerly the managing member of Forrester Financial, LLC, a management consulting firm founded by Mr. Karkus in 2001. Ted was the primary investor in all portfolio company financings and had extensive relationships with investment bankers, the media and a network of institutional investors and high net worth individuals. Ted was instrumental in assisting the turnaround of ID Biomedical, an influenza vaccine manufacturer, which in 2005 was sold to GalaxoSmithKline for over $1.4 billion. After the GalaxoSmithKline deal, Ted left Wall Street for Main Street and joined ProPhase Labs in 2009, when they were about ready to close up shop. In 2010, sales for ProPhase Labs bottomed at $14.5 mil (the first full year in which he was the CEO). Once he launched a proxy contest to become the Chairman of the Board, the company reported sales of $17.5 million in 2011, $22.5 million in 2012 (a 55% increase in sales over a two year period vs. 2010) and an additional growth of 15.8% for the first 9 months of 2013.
due to the fact that they showed up. It’s just not the case. Put your name tag in the right place. Yes, there’s a right way to do it. If you’re going to shake hands with your right hand, put your name tag on your right side, not your left. Why? Because when you reach out to shake hands, that person will be looking at said hand to shake it. If you’re wearing a name tag in the right place, that person’s focus will naturally be drawn to your name and the whole flow of the thing will be better for all. They may even… wait for it…remember your name! Ever wonder why folks bother to network? Networking is a dirty word. Most people don’t enjoy walking into a room, shaking hands and making small talk with strangers. It feels forced. And the purpose of the whole thing eludes an awful lot of business people. Wanna network better? Follow these top tips that have worked time and time again for those of us experienced enough to pass these on. How to Build a PR Campaign that Works for Your Business Relationship-building plays a large role in the success of any business. Most professionals understand the importance of online and offline networking, and it’s equally important in public relations. Whether you have a staff to handle PR or you’re adding a campaign to your to-do list, let’s dive in and discuss steps for success. is a way to officially announce your news. Social media involves using social networks to amplify your coverage, reach a new audience and build a community. The first step will help you write the blueprint for your entire campaign. Ask yourself what you’re trying to accomplish--whether it’s a larger share of voice, an increase in sales, or positive branding, it will help set the direction and tone of your PR, and help you track your goals. Once this step is completed, decide what tactics you will use to build publicity. Content marketing, news releases, media outreach and social media are some of the most popular forms of PR and marketing, and used as the foundation for many campaigns. Media outreach is a way to connect with publications interested in covering the latest big news from your company. Building relationships is a key part of media outreach, as you want journalists to trust and open your emails. Research and Preparation Once you’ve decided which campaigns are right for your brand, it’s now time to prepare! A well-rounded and integrated campaign will implement tactics from each of the above categories. To prepare for content marketing, build an editorial calendar and consider content amplification tools. You’ll want a newsroom to host your releases, and may want to consider distributing them on the wire and web. Media outreach is the tactic that will – and should – take the most research. To find the right media contacts, consider a media database or build a list by finding journalists that cover your industry. For social media, you’ll want to find and follow industry leaders and engage with like-minded professionals. the media and on social networks takes some time, but stay consistent. Continue writing, sharing news and story angles with media, and sharing company and industry news on social media, and your public relations efforts will turn the corner from building a presence to maintaining a presence. After your initial campaign is finished, you should have some metrics to help gauge success. These metrics will vary depending on the goals you set at the beginning, but some useful metrics include unique website visitors, newsletter subscribers and amount and quality of media coverage. Measuring your impact also will give you a benchmark for future campaigns, so you understand what tactics are working with your market and can gauge your progress over time. Media Manager at PR software company Cision, where she leads social strategy, coordinates the blog editorial calendar and manages public relations campaigns. Follow Cision on Twitter or LinkedIn, where they share industry news and trends. 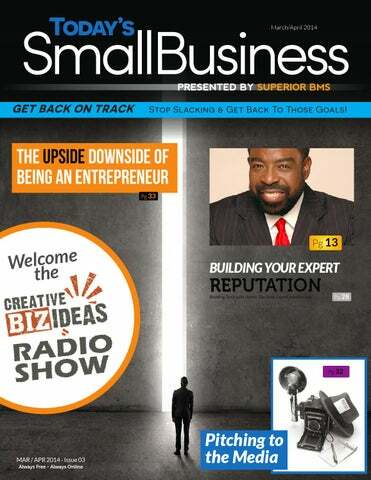 Today’s Small Business Magazine is so happy to announce our collaboration with Mr. Nolan Davis and The Creative Biz Ideas Radio Show. Through our partnering efforts we hope to bring you a cornicopia of unique business ideas and interviews from small business owners and entrepreneurs around the world. FEATURED rapidly built his business to over 18 million customers. In each issue of TSB Magazine, Mr. Davis will provide updates on what is happening on the show as well as some resouces and news for you to use within your own business. We hope our new collaboration will help you to find some of the best news and tools so you can be even more successful in your business! D SEGMENT established an ambitious mindset, yet, not having the academia one would expect for someone with his goals. Not to be deterred Mr. Brown shares how the concept of his future played out; making it very clear that how one perceives themselves, their personal development and ultimately, believing in oneself and “never giving up on your dream no matter what anyone says,” is key. Continuing into the show, Mr. Brown responds dynamically when asked a fundamental question about activating ones dreams and getting started when there is no foundation for the business development in place and or no degrees of knowledge to support the goal. As to be expected, Mr. Brown provided great insight into the necessity of the right mindset in pursuing a dream. Several areas of business and personal development were tabled during the open forum, which Mr. Brown addressed eloquently. As Mr. Davis prepared to introduce Mr. Brown, he shared that Mr. Brown had always been an idol to him and Mr. Davis’ appreciation for Mr. Brown and his support of Creative Biz Ideas was evident. The dynamic of pursuing one’s dreams and it coming true was a testament in itself, as the appearance of Mr. Les Brown on what is only the thirteenth episode of Creative Biz Ideas. The information the audience of Creative Biz Ideas receives from discussions of well recognized guest; includes the sharing of resources, innovative ideas and interaction with like minded individuals seeking to increase their business savvy, therefore, increasing the possibilities in growing their businesses. Episodes are archived for reference if needed. Networking events hosted by Creative Biz Ideas on the last Tuesday of the month are also an avenue for expanding ones visibility with other entrepreneurs. An exciting aspect of the Creative Ideas Biz networking event is that the event itself is streamed live on Google+ (Google hangout) by signing in to creativebizideas. com. No other networking event brings the concept of attendees actually being featured guest, answering questions and providing global attendees information that can be infused into their daily business. Tune into Creative Biz Ideas every Monday from 7:00 to 9:00am CST and listen for the featured TSB Magazine segment every other Monday. Listen online at www.blogtalkradio.com/CreativeBizIdeas or call in and be a part of the discussion 347-945-6693. Hi, my name is Nicholle Baron, and I am 16 years old. I have a company called 13-Jan.com. I long to leave my mark on this world. One thing my mom has always said was, “if the world was blind, how many people would you impress?” This has made me realize that it’s not about what you wear, who you hang out with, or how much you have. It’s about leaving the world better than you found it. This is what I long to do in my lifetime. vides a positive experience where girls can find good advice, strong support and inspiration. You will only find positive experiences at “13-jan” and a sincere message to be yourself, grow-up at your own pace, and don’t feel pressured to be something you’re not. I am hoping to expand on “13-Jan” because I want to help young girls navigate through these tough years. The tween and teen years are truly the time when young minds are molded and a person’s personality, and outlook on life takes shape. The events and experiences that girls go through have a huge effect on their adult life. With all the pressures put on them by the media and their peers it can be so hard. I know, because I have had personal struggles with bullies and peer pressure. This is more than just my company; to me, this is my contribution to the world. Business is a great field to understand even if you do not plan on pursuing owning your own business. I have thought of several careers I would love to have one day, and I think it would be great to know business in every one of them. Like owning my own clothing store, or being an actress. Nobody is going to “rip me off”. I am going to understand business and finance to make certain that I invest my money wisely. These skills will help me make “13-jan” a success and to help your girls stay strong and positive in a world where confusing messages come from every direction. Our name is our ethos and we use it a a filter to see what’s truly lasting. Just outside of the scope of a lifetime, 100 years is something we can all wrap ou heads around but is still aspirational an beyond our grasp. It inspires us to rise the occasion, to take action and accele ate change in the world for the future thrive. We weren’t always A Hundred Years though, at least not in name - but we always aspired to be a purposeful studio. When we started out 13 years ago we began by doing production work the heavy lifting for other agencies - it wasn’t purposeful, it wasn’t glamorous but it was work to get us stabilized so we could focus on our trajectory. For t past decade we’ve been taking the lon view on our own evolution - building t right team, fostering long term partner ships, and challenging our thinking. It would be a great story to say that there was an act of god, some crisis, some huge moment when we made th switch - but the honest truth is there wasn’t one big moment. There were hundreds of little moments, like a trail of breadcrumbs and everyday we kept evolving, kept pushing, kept getting closer to the destination. ready been set by this expectation - the question is, who will rise to meet it? We think a lot of businesses will - many have already begun making the transition. It’s an interesting time to be playing in this arena - with so much movement in this space right now there’s a huge proliferation of thinking around business models that put purpose fist. We’re not trying to be heroes, or act like we’re the only ones doing this - we think it takes a lot of people to shift cultural mindsets and the more people working this way, the better. As the visionary behind A Hundred Years, Marc’s greatest passion is leveraging technology to connect people to what matters most and inspire them into action. He started his first agency when he was only 16 years old in Austria and is a believer in the power of design to transform the world for the better. For over 11 years he has created immersive digital experiences for some of the world’s leading brands with his company here in the US. In addition to being at the helm of A Hundred Years, Marc also teaches Experience Design at UCLA Extension and has spoken on innovation and design thinking at TEDx Phoenix, TEDActive, the National Art Education Convention and at the Museum Next Conference. Google+ is the latest social media platform to get the attention in the online marketing space. However, it tends to polarize people: many love it while many love to hate it. Why is that? Tax Benefits of a Home Based Busine$$ Everybody needs multiple streams of income, and at least one of those streams should be from a home-based business. The main reason is this: when you have a home-based business and properly document your expenses, you can Get Your Money Back when tax season arrives. In addition, America is no longer the industrial society it was 50 years ago, which allowed baby boomers to get good factory jobs and retire in 40 years; many jobs are now overseas and America is now a service society – you have to be in the business of providing a service that is in demand if you want to make it. The wealthiest people in the world (Oprah, Bill Gates, Warren Buffet) have many streams of income . . . that’s why they stay wealthy! If you run a home based business with the intent of making a profit, there are over 440 tax deductions available to you that you can itemize on Schedule C of your 1040 tax return. Note that you do not have to actually make a profit, instead, you must have the intent on making a profit and your activity must not simply be a hobby. Take a look at what you like to do, what you are good at, and/or what you spend your time doing for fun and turn your hobby or gift or talent into a business. Start consulting, teaching, serving, or whatever you do. Most businesses do not require a license or a tax id number, but check with your local city and state commerce departments for registration and permit requirements. In order for your business to be recognized as a business and not a hobby by the IRS, you must have the INTENT on making a profit (you can have a loss and you do not have to make a profit, only the intent) and you must run your business like a business by keeping good records. KEEP ALL OF YOUR RECEIPTS. When you get a receipt, stop and write on the back: who was involved, what you discussed (if it was a dinner meeting), where you were, how much you spent (because receipts fade) and when the event took place. You don’t need a receipt for expenses under $75 (unless it’s for a hotel room) but I suggest you keep them all anyway. Put them in separate envelopes, each month, separated by meals, auto, travel, supplies, salaries, etc. Plus keep a small “tax diary” to record your daily business expenses and mileage — the IRS will rarely dispute anything in a “tax diary”. Have you ever invited people to your home to eat and have a good time? Well, if you have a home-based business, it’s called a business dinner party! Have information about your business near the food. Take pictures of people looking at your business cards. Answer questions about your business and always ask for referrals for your business. When guest ring your doorbell, greet them by saying “How’s business?” Get it? I know you do! Now, you can write off what you spent on meals, invitations, and other items related to your dinner party. Whenever people come to my home to eat . . . IT’S ALWAYS BUSINESS. Remember my mantra, for me, everything is business. And the good thing is this, my business actually grows as a result, I get to interact with people and have a good time, AND I get my money back at tax time! Finally, you can use a separate debit card as a separate tool to track all of your business expenses – keeping these transactions separate from your personal expenses like rent and groceries. Lynn Richardson is an author, entertainment executive and celebrity financial coach who uses her quick wit and humorous presentation style to help others face their money issues and achieve personal, professional and spiritual harmony. With more than a decade of leading roles in the banking and real estate sales industries, Lynn vision is best portrayed in her books, most notably Living Check to Monday: The Real Deal About Money, Credit and Financial Security. Lynn is currently the President of MC Lyte’s Hip Hop Sisters Foundation, COO of MC Lyte’s Sunni Gyrl enterprise, and Chief of Operations for Russell Simmons’ foundation -- the Hip Hop Summit Action Network -where she oversees empowerment programs that impact the globe. you enter and where you place. Research the competitions that make the most sense for you to enter before committing a lot of resources. option for you is. Consider all of the positives and negatives of each before you pursue something that may not be the best fit. ence. By engaging them in a casual conversation, you might just learn an important piece of information about their upcoming stay. Like maybe they will be away over their anniversary. This is the perfect opportunity to put a plate of sweets and a hand written note with your well wishes in their room for when they return. get recognized for going above and beyond, will be motivated to continue working hard and contributing to your company’s success and to make the guest’s experience one they will remember. The Lenox Hotel in Boston is a perfect example of this; by giving their staff an allowance that they can use to better enhance each person’s stay. Don’t shy away from a guest complaint. It won’t be the first or last time this will happen, so instead of going into panic mode, embrace it. Whether on the phone or in person, be sure to make some uninterrupted time to really listen and take notes on what the issue is. ceived personalized attention, as if they are the only guests in our house. The eponymous founder of House of Kooser is a leading innovator in hospitality marketing. In an era of downsizing and consolidation, Greg has created a proven formula for success: grassroots sales and marketing. The strength of the company comes from one-on-one relationships cultivated over the past ten years in the corporate, entertainment and leisure markets. Greg started in the business as Director of East Coast Sales for Californiabased Kerry Hotels. Now, working throughout the US, Europe and Australia, he has the power to get hoteliers in the door with the leading decision makers, resulting in a superb international portfolio. The consummate host, Greg loves to put on a good show, and is always whipping up creative, unforgettable ways to entertain his guests. ENTREPRENEUR The Entrepreneur Q&A let’s you get inside the head of a business owner, not unlike yourself, and hear their story, good, bad or ugly. We think you’ll find these stories may sound familiar. It seemed like everyone we knew and/or worked with was swapping giftcards back and forth for special occasions i.e; birthdays, graduations, new jobs, holidays, etc. We thought, it would be great if there was an actual gift you could give (in this case, candy) that would allow the recipient the opportunity to customize their gift so they could receive exactly what they want. And that’s how Sugarwish was born. Sugarwish, Leslie Lyon & Elisabeth Vezzani. Sugarwish perfectly combines the thoughtfulness and digital ease of sending a personal note with the promise of goodies to follow. The best part? The recipient picks their own candies ensuring they always get what they want. Sweet. The concept is simple: You chose the Sugarwish gift size along with an eCard, they pick their favorite candies, and we ship their treats directly to their door. Sweet Happiness. Delivered. What are some of the initial challenges you faced when you first started out or even now? up and then seeing our idea take off. Sugarwish is all about “spreading happiness” and we’ve loved seeing how our initial concept has resonated with people. It has been incredible to conceptualize something, build the application and functionality - and then see it grow. The digital nature of the gift makes it super easy to send, and it’s a great solution for so many people who are short on time, yet want to be able to give a fun and clever gift. A Sugarwish can be ordered and delivered to the recipient’s inbox with the click of a mouse. It’s that simple. The response we’ve had to our initial idea (and the way we chose to execute it) has been unbelievable, and really keeps us energized. We don’t have time to call in sick! 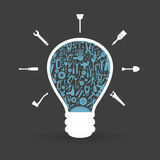 :) What advice would you give to someone who might be reading this and have their own idea for a business? Alexander Kesler is the president and founder of inSegment, Inc., a full service digital marketing agency headquartered in Boston, Massachusetts. He is an experienced entrepreneur with hands-on traditional and digital marketing experience in several diverse industries, as well as over 14 years of experience in building companies from the ground up. As a digital marketing expert, he has extensive experience with website design and development, search engine optimization, pay-per-click and display advertising, mobile app development and marketing, and lead generation. Alexander is a graduate of Babson College. User nour are es ing. page, and other important site metrics. Additionally, make sure that you have set up your Webmaster tools. SEO: Live URLs Most websites are built on a development server, with a different uniform resource locator (URL) than they will have when launched. When a site is taken live, the URLs are all moved from that staging area, and change. Every single URL on your site needs to be tested when the site goes live to make sure that they work and lead to the correct destination. This is important for both a functionality standpoint and for SEO purposes. Launching a website is a major undertaking; there are hundreds of moving parts that need to come together in order to make your site a beautiful, functional tool for a business. Although there are dozens of areas that need to be tested repeatedly before your site is ready to launch, these overlooked areas are great places to start – the bugs and glitches that come from these elements are often the most damaging to a small business’s site performance, so it’s better to take a little extra bit of time testing them so that your company can avoid on-the-fly repairs! mendation. And there you have the famous catch 22, because people will only buy from you if they ‘Know, Like and Trust’ you. But therein lies exactly the problem, because they don’t know you yet. If you don’t feel comfortable giving away free stuff, another way to go is give them your time. You can start by giving out your advice. You can write ‘How-To’ articles addressing a problem that you know your ideal prospective client is struggling with. By the way, if you don’t have that aspect quite figured out I suggest you get back to the drawing board! You can make tutorials or maybe start a weekly or monthly podcast with coaching advice if you are in that business. Giving your time by answering questions in various methods is a great way to draw in your ideal prospective clients who may not have originally been looking for your services, but advice about how to get a solution to their problem. Mind you, these passers by can rapidly become your ideal paying client if they believe in the strength of your advice and move themselves further down the ‘Know, Like and Trust’ path. “...one of the most important things that any business can have, whether offline or online, is credibility.” Another great way is to get involved with online forums or blogs with a large following or even a Facebook Page or Group in your niche. This is a great way to start building on your virtual word of mouth. Do make sure to actually participate and contribute to the conversations in the forum itself and don’t use it to just advertise and spam your prospective client into running the other way screaming. A big challenge small businesses face is finding customers when the marketing budget is limited. The average small business only spends $4,800 annually(1), on marketing. If you are like most businesses, your tight marketing budget can quickly disappear with advertising, websites, search engine optimization, design, print, trade shows and special events. How can you expand your marketing budget and still have enough money left over to run the rest of your business? Explore the idea of co-marketing partners to expand your marketing reach, create more demand and increase your brand recognition. Referral: a partnerships where you and your partner refer customers to each other. These relationships are often simple agreements where each partner recommends the other’s product or services. Reseller: one or both partners resell the other’s products and services. These relationship tend to be more complex agreements with defined sales and service expectations, sales training and branded marketing materials. both organizations. Co-marketing is an often overlooked marketing partnership that can be very cost effective for small businesses. increase traffic and create revenue for both organizations. This can be particularly effective in business-to-consumer marketing. Thought Leadership Assets such as webinars, white papers and research studies are often used in business-to-business organizations where internal subject matter experts and resources from each company develop thought provoking information pertinent to their shared prospects. For example an online tax software company and a payroll services organization can co-sponsor a white paper on the “Value in Outsourcing Financial Processes”. Both organizations use the marketing asset in joint and individual marketing campaigns to differentiate from competition and bring unique value to their mutual target prospects. a page on Facebook, pitch small journals/magazines/online communities (there is an online magazine/community for every single topic out there . . . trust me, I’ve researched some random topics!). It might not be as exciting as getting on a national morning news program, but it’s a start. And in today’s media world, a start is all you need to get the proverbial ball rolling. Good luck! aria Halliwell is an awardwinning network news producer with 15 years experience booking, writing and producing news. During her many years at ABC News, Naria produced everything from breaking news to hour-long documentaries to Diane Sawyer Specials. Naria has prepared hundreds of subjects for television — helping them craft their message or story for millions of viewers. After leaving ABC in the spring of 2012, Naria launched Halliwell MediaWorks. Naria works with authors/experts/industry execs who need to improve their skills before media interviews (TV, radio, print, online), and professionals who need help with their public speaking — whether to clients or an audience of hundreds. Tony Dungy profoundly stated, “The first step toward creating an improved future is developing the ability to envision it. VISION will ignite the fire of passion that fuels our commitment to do WHATEVER IT TAKES to achieve excellence. Only VISION allows us to transform dreams of greatness into the reality of achievement through human action. VISION has no boundaries and knows no limits. Our VISION is what we become in life.” At the ideation of success we often laud over the glitz and glam of entrepreneurship and shun the very stench that dwells in the brow sweat of struggle. Ultimately, we must embrace the brass tack reality that success and struggle operate as catalytic partners sculpting us into extraordinary leaders of influence. The day my world changed dramatically, was the moment I decided to grant myself permission to live magnificently in the face of adversity. I started my first official business, two days after I was laid off due to a company-wide budget cut. The stark reality of having my money mat snatched abruptly from under my feet without a single notice was the best wake-up call I could have ever received. In that instant, I became keenly aware that I never wanted to be at the mercy of someone else regarding my financial future. Want to advertise your business on our next issue? Give us a call today!